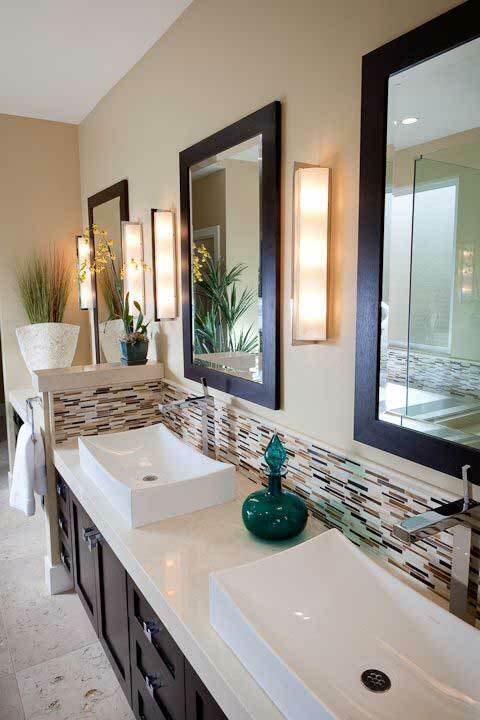 At Capital Real Estate Construction, our design staff will help you create a beautiful custom bathroom. We offer fully designed and installed custom bathrooms. Including cabinets, flooring, toilets, showers, sinks and faucets. Our design team will assist you in selecting the right cabinets and materials to build your dream bathroom. We offer a wide range of solutions to fit every budget. For a high end, luxe bathroom we offer Bishop Cabinets, which come in a variety of wood species, door styles and finishes. For a beautiful yet more moderate option, we carry Fabuwood which can transform your bathroom into a spa like sanctuary. Fabuwood was voted “2017 KBIS Best in Show award,” and offers a variety styles and colors, including all of today’s most popular colors. Besides bathroom remodeling making your bathroom appear better, you will also improve the overall appearance of their home. You may have a very appealing living room, but when people go to your bathroom, they tend to feel as if it is in the wrong place. When you are working on the appearance of your home, you should consider the functionality as well, so that you can make the most of the process. Ensure that your bathroom’s appearance is equivalent to the rest of the home. With a great looking bathroom, you will be able to enjoy a whole lot of comfort and relaxation. You need to have sufficient space in your bathroom to carry out your tasks without a problem. You should not feel claustrophobic when you get into your bathroom, due to the limited space that is available. When you consider bathroom remodeling Pittsburgh PA, ask the contractor for some ideas on how you can get more space in your bathroom. You can use the opportunity to create additional storage space as well by adding cabinets and shelves. With the advance in technology, you can get virtual space, without any form of construction. You should look at the position of the various fixtures and components and spacing them out will create the space that you did not know you had. This will also help in eradicating the clutter your home when you start from the bathroom. When the renovation work is completed, the resale value of your home will increase. One of the tips that you can use to add value to your home when you want to sell it is remodeling the bathroom. Any potential buyer will look at the bathroom and the fixtures that have been fitted. As long as the bathroom appears to be in perfect condition, there is a general assumption that the rest of the home is great. As far as recovering the amount of money spent on bathroom remodeling goes, you will be able to get a great return on investment. All you need to do is ensure that you engage a professional contractor for the renovation and you will be glad with the outcome. You can sell your home for a higher price, and even if you do not sell it, it will be great to have a good bathroom.